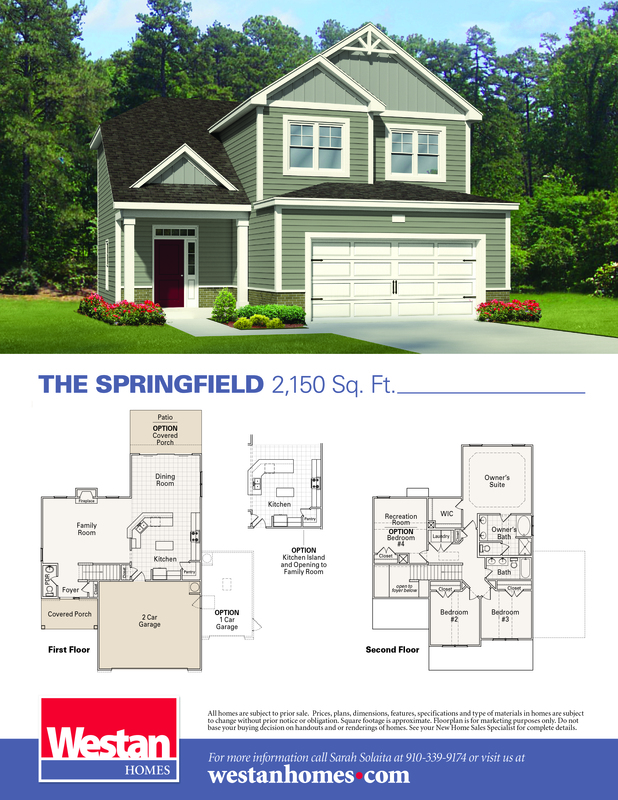 The Springfield with 4 bedrooms and 2150 square feet, you'll have to see it to believe it! Great for large families or entertaining, the large great room open to a spacious kitchen and dining area. The kitchen is an entertainers dream! The large island is perfect for hosting family and friends and the 12 foot wide sliding door that opens to your screen porch is an added treat! Upstairs features an owners suite with a trey ceiling, separate tub and shower and a large walk-in closet. 3 additional large bedrooms are perfect for the growing family. Rounding out the second floor is the laundry room and large secondary full bath! This home like all Westan Homes offers our Bright Ideas such as pull out trash cans and hands free pantry lighting just to name a few!